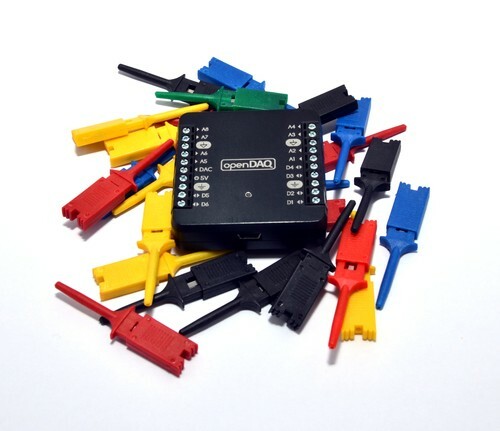 [S] version of openDAQ is a low cost option, intended for those applications not needing very demanding hardware capabilities (14bit analog inputs, 12 bit analog output). The case shape and dimensions, and many other characteristics, are totally equivalent to M version. 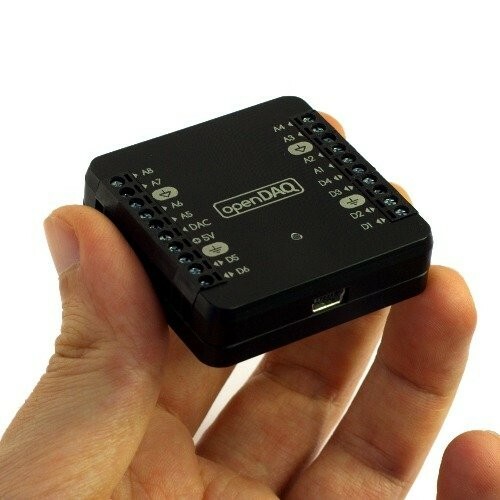 By means of an USB connection, openDAQ brings all the information that it captures to a host computer, where you can decide how to process, display and store it. Several demos and examples are provided in support page. 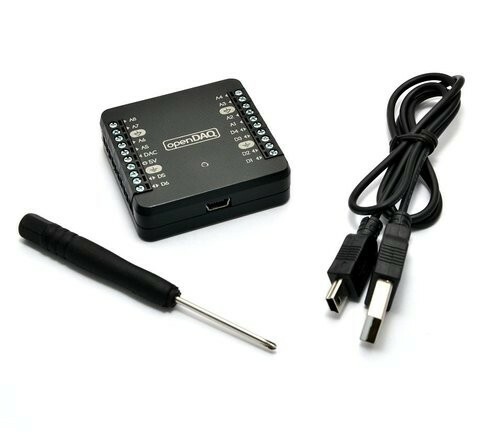 OpenDAQ users also have access to the internal firmware of the device, which allows you to customize device functionalities in an unprecedented manner. Works with Almost Every 32 and 64 bit O.S.